Top is loose fitting but true to size. Great for dressing up or down (like we have in our photos). 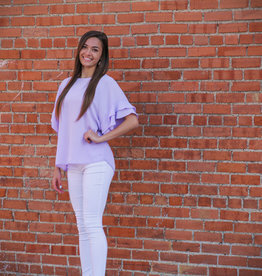 Model is 5' 6" wearing a small. 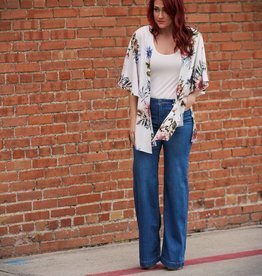 Flowy, lightweight kimono filled with spring colors. Sweet as cotton candy! Two tone lace on a fitted dress. Short fitted dress with adjustable straps. Baby blue lace with light pink accents. 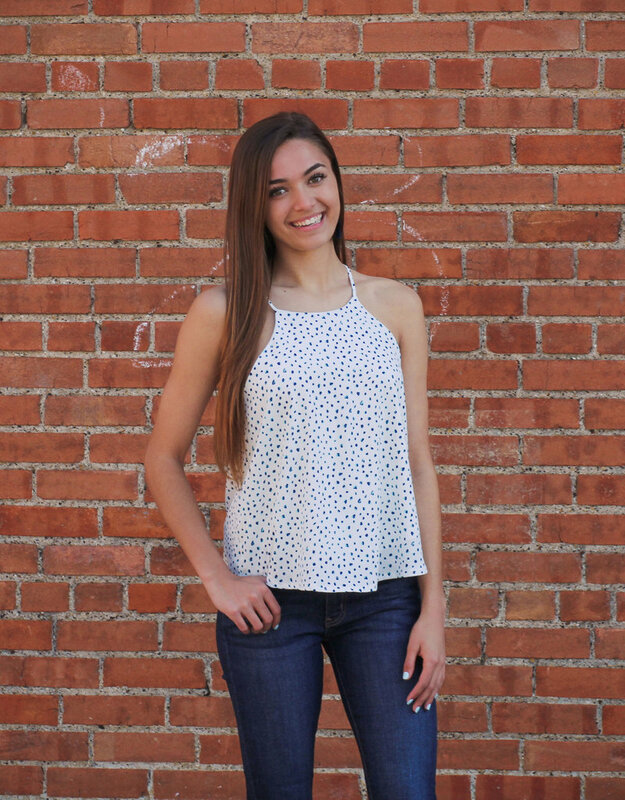 This dress will stand out at any graduation or in senior photos. Perfect spring colors just in time for Easter! This maxi dress just screams spring! Floral maxi dress with a high-low effect at the hem. Faux wrap style with a v neckline and cinched waist. It would be perfect for Easter!